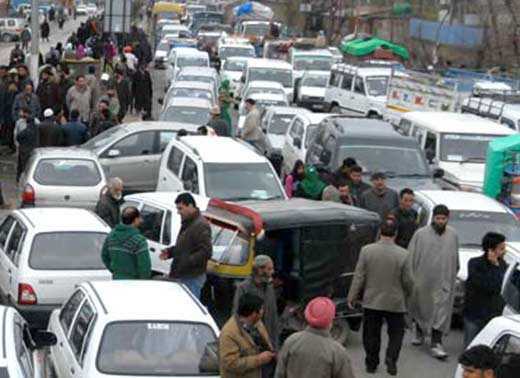 The political rally organized by National Conference in Srinagar city created chaos on Monday morning as hundreds of vehicles got trapped in traffic jam right from Lal Mandi Srinagar to TRC Chowk. The closure of Polo View road added to the woes of commuters who were furious at mess created by political rally in busy city. National Conference organized a rally in which thousands of party workers participated. The rally at Municipal Park Srinagar was addressed by Omar Abdullah, Farooq Abdullah and other party leaders. 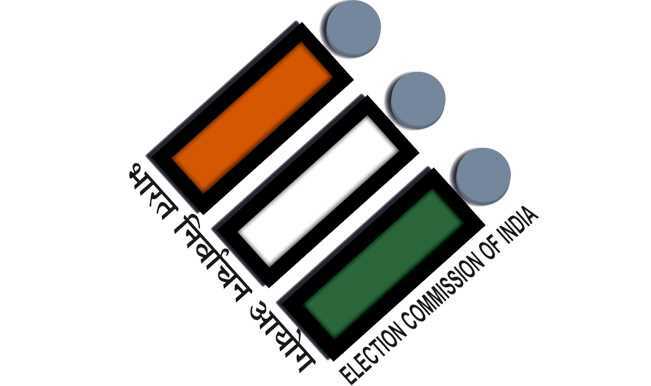 Police and paramilitary CRPF personnel were deployed at all intersections leading to the venue to ensure that civilian traffic does not interfere with the movement of political leaders and workers of the party, causing inconvenience to the public. Government Forces had erected barricades and concertina wires to restrict the civil traffic movement on the Polo View Road. No vehicle was allowed to pass through the otherwise busy road. The closure of the road created traffic jam right from the Lal Mandi to TRC Chowk where couple of traffic police personnel faced enormous difficulty to regulate traffic smoothly. Commuters complained of inconvenience due to rules enforced by authorities. “For a mere political rally, authorities are putting thousands of people into trouble. 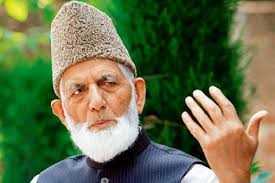 The mindless order of blocking the roads created lot of disorder,” said a commuter to news agency CNS. “The same politicians are creating hue and cry over highway ban but when it comes to their own rallies, they don’t speak even a word over the closure of the roads,” said another commuter.